Welcome to your source for professional real estate services in Chapel Hill and Orange County. Since 2008, Janeth Moran has worked hard for home sellers and buyers in the bustling Triangle, North Carolina, real estate market. Through her company, Chateaux Realty, she helps homebuyers find just the right space for their families. She assists sellers in creating a valuable presence in the market. And she does it all with as little stress as possible. Because of her dedication to her clients, Janeth goes above and beyond, supporting clients in whatever way they need. She brings eight years of unparalleled real estate negotiating skills to every sale. She can do the same for you, as she helps you get from first contact to final closing. Prior to moving to Chatham County, Janeth spent a good deal of her career moving around with her Navy husband. She earned a Bachelor of Science degree in biology from the University of Puerto Rico and has sold real estate from California to Florida. A consummate saleswoman, she brings lessons in client relations from her healthcare background to bear at Chateaux Realty. Now, she says, she lives in the best of all worlds. “It’s such a growing area and still has so much beautiful countryside. It’s exciting to be a part of the fabulous growth and to be in on the ground floor of such projects as Chatham Park.” As both a commercial and residential Realtor, Janeth is deeply committed to the Park, a 7,000-square-foot mixed-use development in the works in Pittsboro. And like the developers moving the earth in the county, Janeth strives for balance. She’ll move whatever obstacles stand in the way to find that same peace and balance for her clients. She has built a stable team of women at Chateaux Realty, and she appreciates the strength and super multi-tasking abilities they bring to the table. Janeth is excited about the future for her company and for her clients. Real estate and quality-of-life values in the North Carolina Triangle and Chatham County areas, she believes, are only going to keep rising. 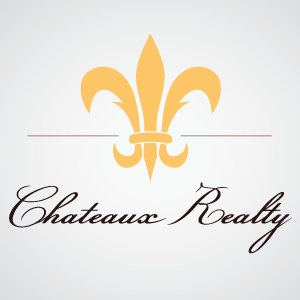 Nora Sienra started working with Chateaux Realty in the spring of 2016. 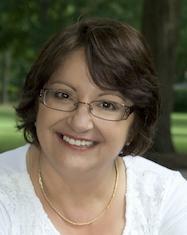 As an agent, she is fully committed to the Research Triangle area and to her employer. She quickly came to value the real estate company as a place where she could shine. And she’s fit in perfectly. She shares an abiding interest with Janeth Moran, the broker-in-charge at Chateaux Realty, in educating clients so that they understand the home-buying and house-selling processes more thoroughly. Through a keen attention to detail and a strong desire to see each family invest in the perfect home for their unique situation, Nora has developed a reputation for excellence along with a mutual appreciation and deep friendship with her employer. Originally from Argentina, Nora attended the Universidad de Rosario. From there, she moved to California to realize what she and her family expected of the “American Dream.” A big part of that dream involves homeownership, so she’s delighted to play a pivotal role in helping others achieve that dream. She’s now devoting her career and her life to making it a reality for many families. With a professional background in sales and sales management in the dental industry, Nora realized that her skills and passion ideally were suited to real estate. In 2004, Nora and her family moved to Hillsborough, NC, where she eventually found her niche with Janeth and Chateaux Realty. Nora loves the diversity of the scenery, people and cultures in the Triangle area. She enjoys her memberships in various professional real estate associations, as well the time she gets to spend with her family. Nora shares an interest in travel with the rest of the team at Chateaux. She also enjoys reading and bible studies in her spare time. 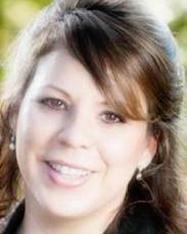 Debra Larios appreciates the support she receives from her boss, Janeth Moran, and the whole team at Chateaux Realty. Her role in the company allows her to give that support — and more — right back to the team as they’ve come to rely on her many talents. A native of Guatemala, Debra serves as translator for the non-profit, just as she does for many families who come to the Chateaux Realty office. She moved to nearby Snow Camp with her family when she was 10 years old, and she’s taken a variety of different jobs since graduating high school — from doing factory work to taking care of children with special needs. Debra looks forward to transferring to a four-year college in the near future. She’s learning a tremendous amount about the real estate industry, which she finds challenging and interesting. She enjoys the diversity and different tasks she performs at Chateaux. She will step in and learn anything she’s unfamiliar with, something she relishes. She also takes extra time ensuring that clients and vendors have the answers they need when they need them, as well as access to her boss when it’s appropriate. She’s the perfect gatekeeper. And Debra has a slew of outside interests that grab her attention when she’s not working or in school. She’s a musician who plays piano; she’s taking guitar lessons, and she plays music on Sundays with her siblings in church. She’s also an avid soccer player who plays with a city league on the weekends. As the owner of An Acquired Style, Ashlie Campbell shares office space with Janeth Moran and her real estate team, and Ashlie believes it’s a great fit. She serves as their exclusive stager, helping home sellers prepare their houses in a way that maintains and highlights the style and ambiance of the home while encouraging homebuyers to see themselves living there. And that need very often includes staging a home for sellers, which is Ashlie’s forte. She knows that each property is different and every home seller is unique. She likes to think of her role as a facilitator to bridge the gap between the seller and potential buyers. To see the property from both viewpoints, she has to step into the shoes of each. It’s a delicate process, she says, and one that she doesn’t take lightly. She may, for example, need to persuade the seller to stow away all of the mementos and cherished belongings to give the house a more neutral palette. The goal is to show potential buyers how they can see themselves in it — rather than seeing it as a place where someone else lives. 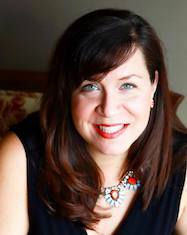 With a design degree from Virginia Commonwealth University, Ashlie likens her practice to that of a concierge. She adds value to the home selling process wherever it’s needed, for the Chateaux team and for their clients. The process works, and houses sell quickly because of the way they’re staged. Ashlie and her family moved to Pittsboro in 2010. She loves the area; she says it’s poised to become one of the densest areas in North Carolina — and she’s been part of it from the beginning. She enjoys the support she gets from Janeth and other working women in the office and through a platform called the Housewives of Chatham County.